DR CHATIB Basri, one of Indonesia's most respected economists and the country's former Minister of Finance, has joined the blockchain for social impact project Hara in an advisory role. This is the first time a former minister has endorsed a blockchain start-up from Indonesia. 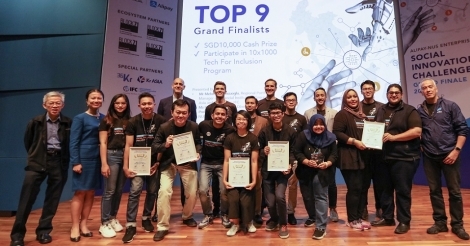 Hara is the first blockchain project that aims to have a positive social impact in Indonesia. The startup will use blockchain technology to power a decentralised data exchange that will address the issue of asymmetric information availability in the food and agriculture sector. This issue severely hampers businesses in the supply chain to be more efficient and effective, resulting in unnecessary losses. "The development of blockchain and digital technology will undoubtedly help us improve the economy by cutting transaction costs, simplifying long processes or red-tape, and making the process become faster," Basri commented. Indonesia's economy is currently ranked as the 16th largest in the world, with 33% of the workforce working in the food and agriculture sector. However, due to various growth impeding challenges, only 13.95% of the country's GDP comes from that sector, amounting to a total of US$129.6 billion. The most fundamental problem the country consistently faces is the comparatively low productivity in growing rice, even though the production cost is the most expensive in all of Asia. For example, the rice production of farmers in Vietnam is 14.5% higher, while their production costs are significantly lower. Hara believes that data transparency can solve these problems and that data will become a new commodity in the agricultural sector. The company will help solve the problems by providing access to actionable data-driven insights that support the efforts to improve agricultural productivity and secure solid economic growth for all. "The Hara blockchain will help farmers in the Indonesian agriculture sector increase their productivity, cut the transaction costs and increase their income. I'm honoured to be part of this adventure as an advisor for Hara," Basri stated. Hara is currently being piloted in several regions in Indonesia and has already shown an encouraging impact on farmers. In the latest phase of the project, around 3.000 farmers in 41 remote villages were reached. By 2020, Hara plans to attract two million Indonesian farmers by expanding the implementation area across the whole of Indonesia.